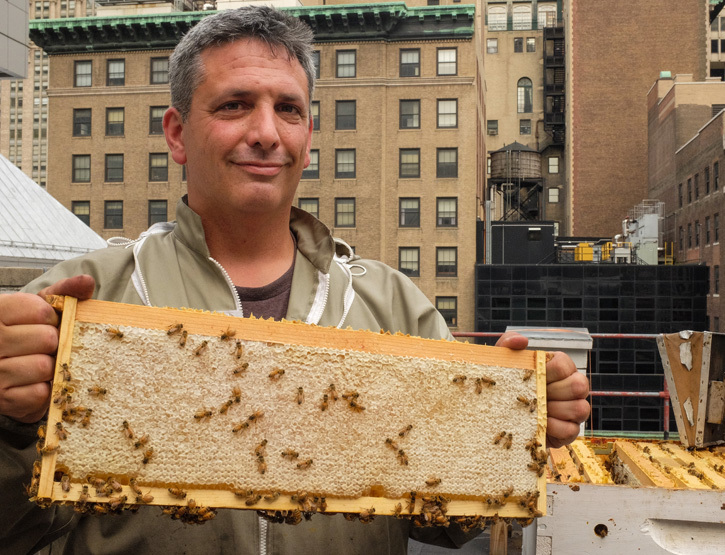 In his role as New York City’s preeminent beekeeper, Andrew Coté has a palpable passion for his job. 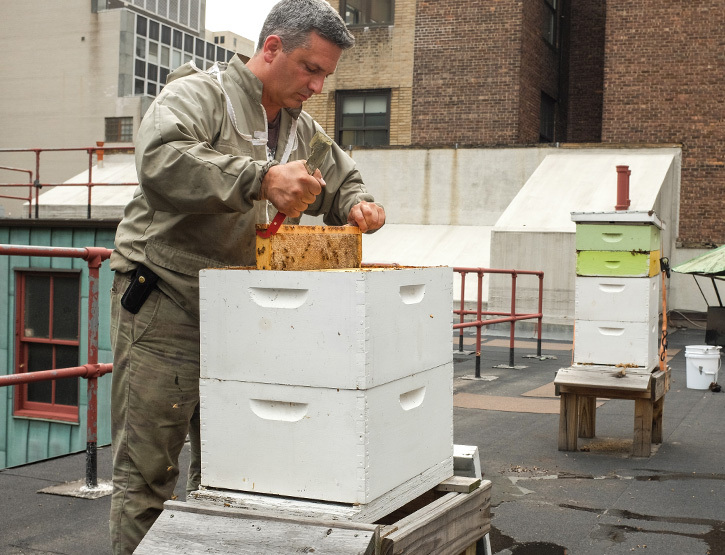 He is responsible for nearly 75 beehives owned by several companies across the city, including the Waldorf Astoria New York. 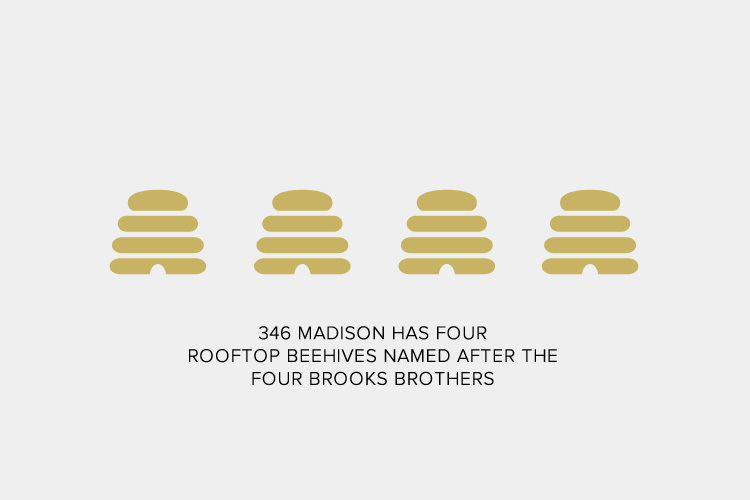 Part of his network of urban apiaries is the Brooks Brothers flagship building in midtown, which is more than just a store—it’s home to 300,000 Italian honeybees whose rooftop residence is a seldom-seen side of our brand. 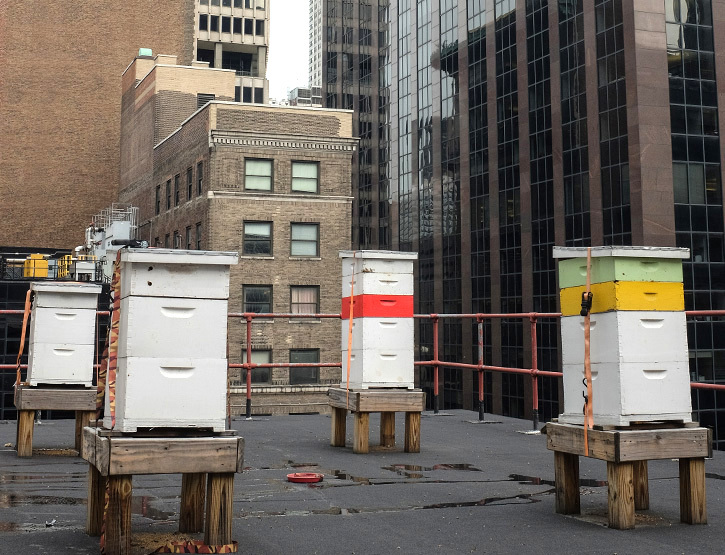 Coté visits the four brightly colored hives on the 346 Madison Avenue rooftop weekly, carefully examining and nurturing the bees. 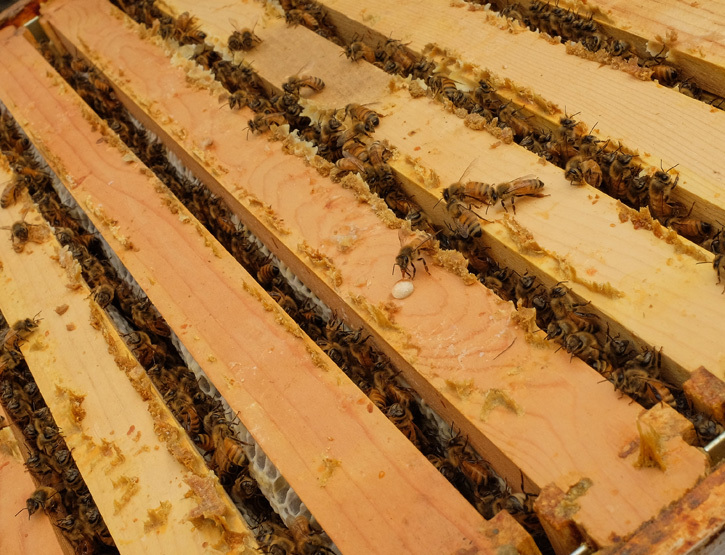 Now in their eighth year at this apiary, our bees annually make more than 600 pounds of honey. 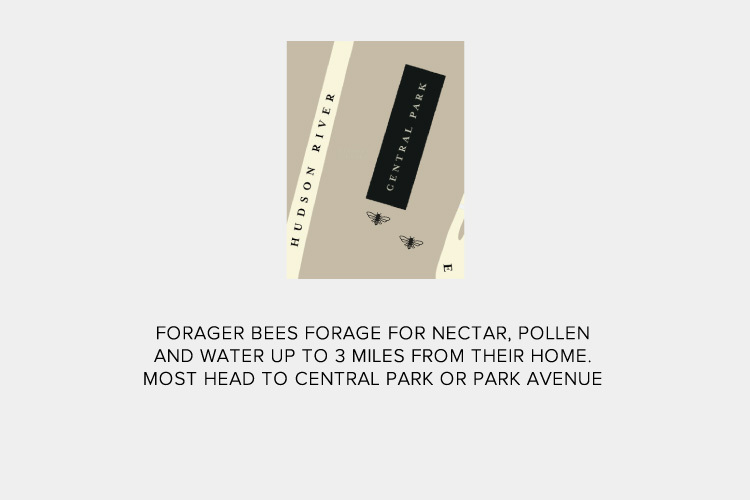 Most of these bees head to Central Park to enjoy the nearly 1,000 acres there, or to Park Avenue to feast on a smorgasbord of nectar. 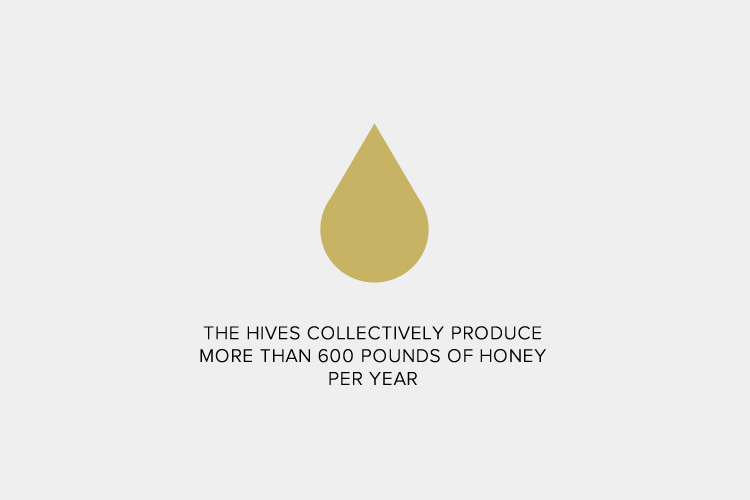 “Their honey may be the most complex, cosmopolitan honey ever concocted by the alchemy through which bees spin nectar into liquid gold,” Coté says. 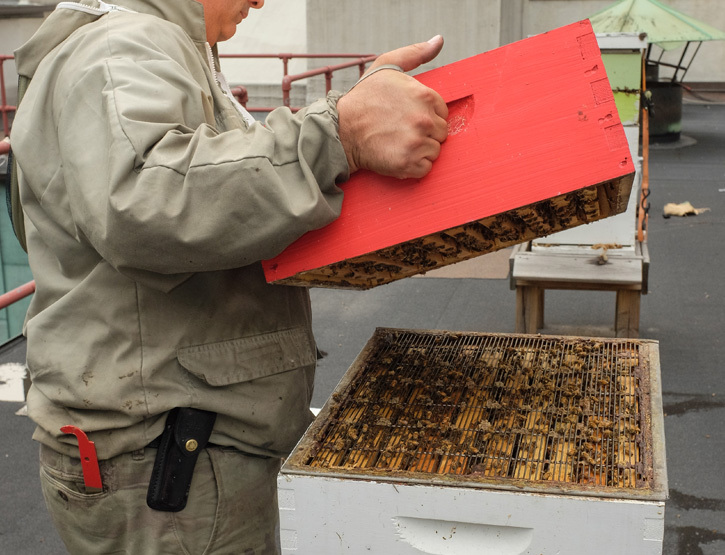 As part of the company’s environmental-impact initiative, Coté gives information sessions to Brooks Brothers employees about the plight of the honeybee, with topics such as colony collapse and bees’ role in industrial farming. 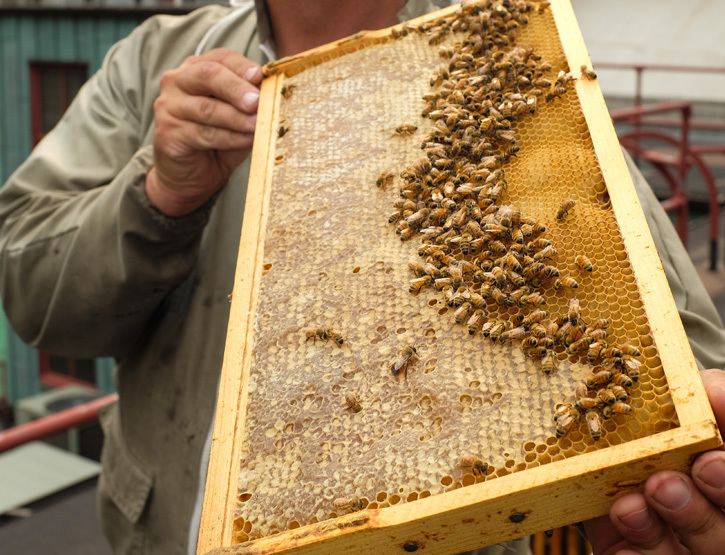 The aim is to educate employees about the importance of honeybees and the risk of the species becoming endangered. 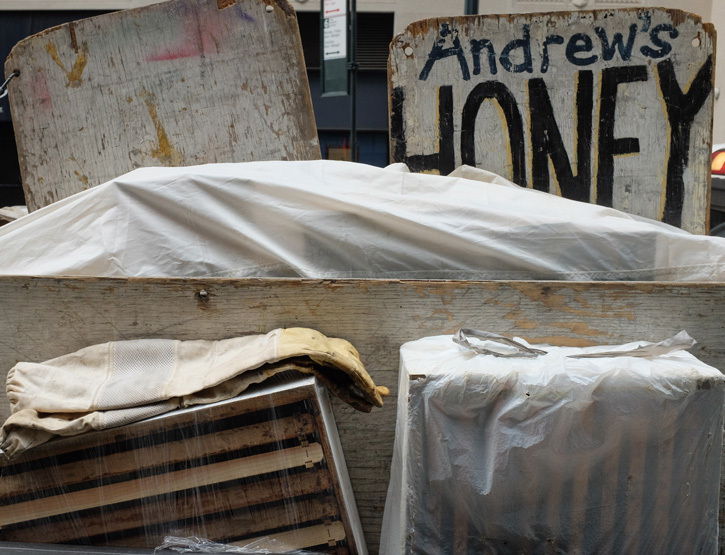 To emphasize their local importance: Twenty-four percent of New York City is in the shade of a tree. Those trees need pollination, and honeybees are master pollinators. 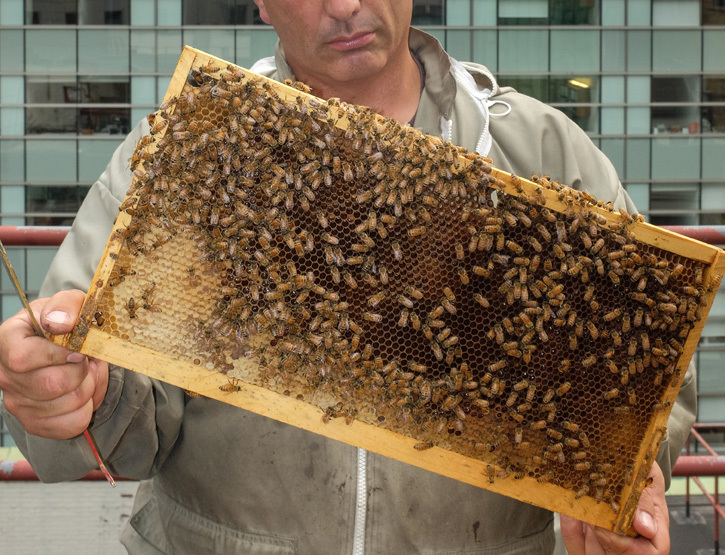 “Not only do those bees provide a pollination service, but they bring back a bouquet of honey made from a myriad of floral sources, which ultimately helps people fight allergies and otherwise keeps them healthy,” Coté explains. 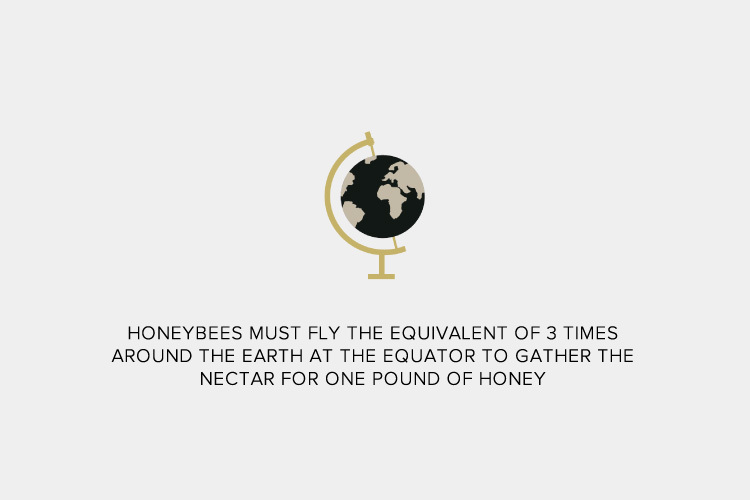 In addition, bees pollinate more than 130 fruit and vegetable crops. 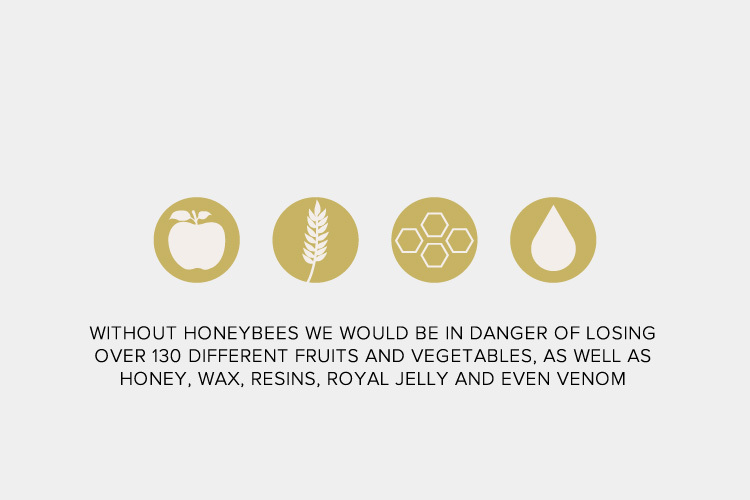 Their benefits and by-products include honey, wax, resins, propolis, royal jelly and even venom. 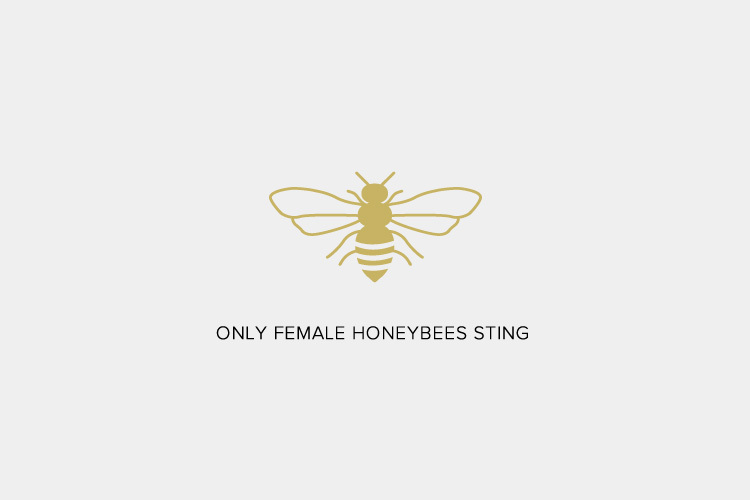 Scroll down for fun facts about our bees. 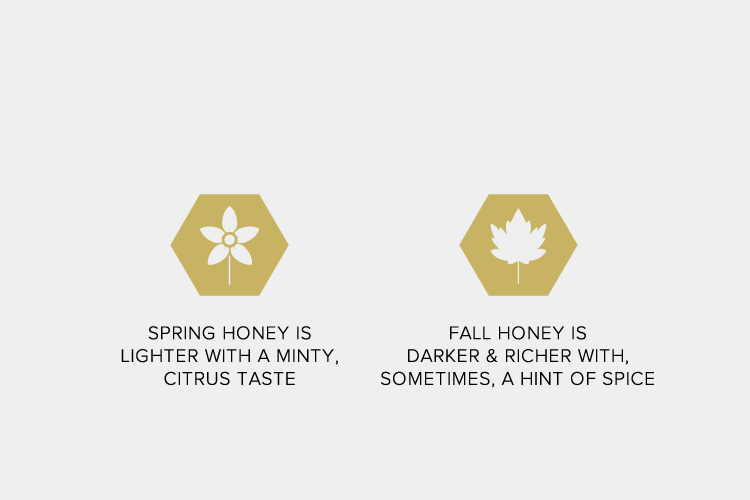 To purchase our honey, visit the Red Fleece Cafe in our flagship store in midtown Manhattan.